Chapin Lamont grew up fly fishing in the state of Maine and from a very young age he knew he was going to be a fishing guide. When he turned 18, he and a friend loaded up their truck and headed west to Montana to pursue that dream. After that fateful drive Chapin ended up guiding in Montana, Wyoming, and Idaho, as well as fishing in Chile, Argentina, the Florida Keys and all over the United States. 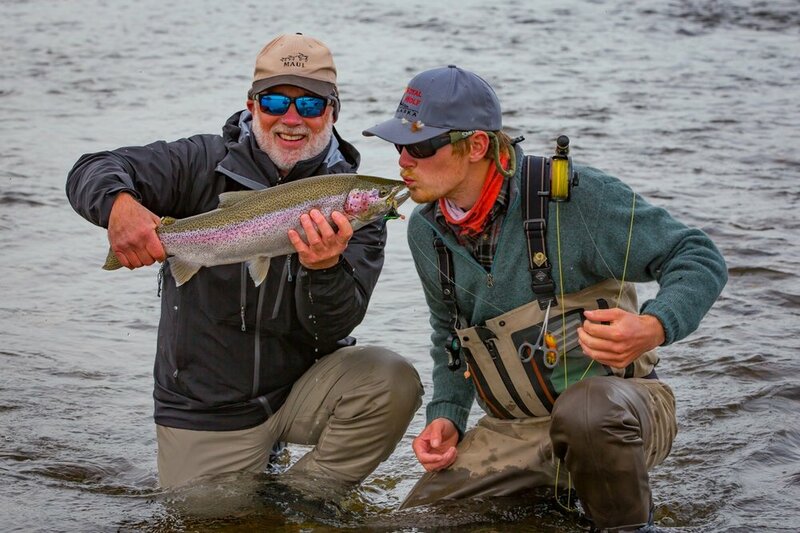 Chapin loves taking people who appreciate the wilderness out guiding, and he loves being able to share the knowledge of local flora and fauna, as well as his fly fishing expertise. When he is not fishing, Chapin enjoys tying flies and building fly rods, as well as bowhunting and climbing when the river is too high to fish. Chapin joined Royal Wolf in 2017 and quickly became a one of us as his multiple skills around camp, as well as his desire to show guests a great day fishing makes him a great addition to our team. In 2018, Chapin married Skylar (another of our guides) in an intimate ceremony overlooking our home river in what became our first wedding at Royal Wolf, quickly dubbed the Royal Wedding.